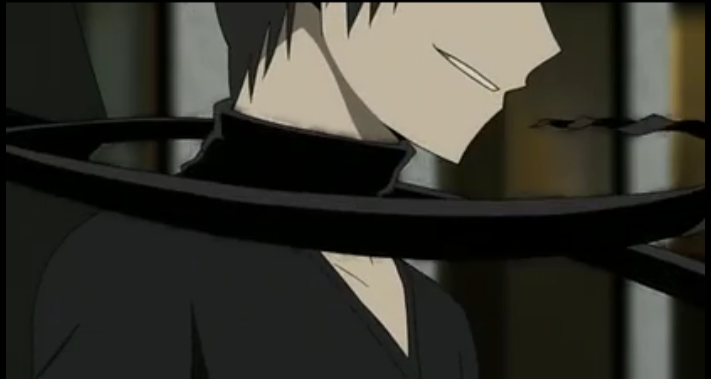 Izaya gets on Celty's bad side. Episode 14 of DRRR still feels like it is setting up the action for the second half. We learn a lot and the plot is advanced, but in and of itself the episode doesn’t have the impact I’ve come to expect. Part of the disappointment for me is the service given for the CeltyXShinra shippers. This is a relationship I have never enjoyed, even in this episode new reasons are provided to think Celty should dump Shinra, as he finally reveals some detailed information about how she lost her head that, IMHO, he should have provided years ago, if he really loves her. As I said, this episode moves the plot forward. Important details are revealed about the Slasher, including an unsuspected connection to Celty’s forgotten past. Celty seems to have gotten Shizuo riled up about the Slasher, by revealing that she was attacked. Shizuo seems to genuinely care for Celty as a friend, and learning that the Slasher attacked his friend has Shizuo mumbling “kill, kill, kill…”. The issue of Celty’s head was also raised again, which makes it seem it will, indeed, be an important component of this arc. 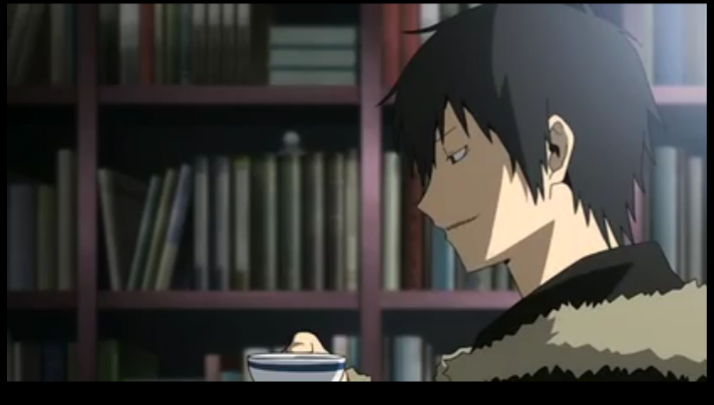 In fact, it seemed to make a cameo in the shadows behind the books in Izaya’s office. Notice the round thing behind the books? That looks like the jar Celty's head is kept in. Hi JooJooBee’s! This is Tokyogodfather here, from the YKWWSTD blog. I just wanted to say thanks for your awesome question, and to let you know that I’m turning your question and my answer to it into a blog post in and of itself. Best, and keep up the great work on your site as well! Seeing review sites like this lets me know that people still care (about the quality of Anime) out in the rest of the world too! Thanks, that’s very kind of you to say. I’ll be looking forward to seeing your post! And also agreed that the pace got really slow, especially after that action-packed episode 12.